April is World Autism Awareness Month and the Richmond County School System is celebrating the individuality and uniqueness of all students! To kick off the month-long recognition and bring about awareness of autism, the Diamond Lakes Mime Team performed a series of routines and Langford Middle School held an autism awareness walk and a balloon release to recognize and celebrate their students with autism. Many students throughout our system are also wearing blue—the official color of Autism Speaks and a symbol of acceptance. Thanks to the Diamonds and the Lions for sharing these special events with us and for advocating for all students with special needs! 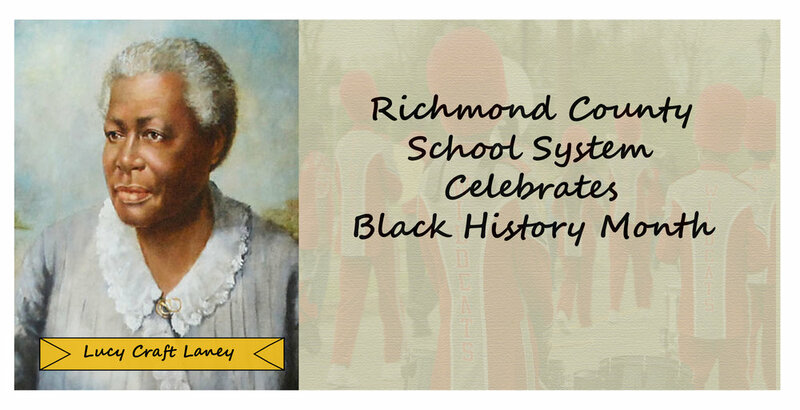 The Richmond County School System celebrated Black History Month in the biggest of ways! Through art shows, plays, musicals, guest speakers, wax museums, programs, and murals, all of our students were able to celebrate and be inspired by artists, scientists, doctors, politicians, and many other notable black figures from the past and the present. We hope you enjoy these photos of events from all over the system. Dr. Thomas Walter Josey was dedicated to Augusta and his community. He received his primary education through the Hains Institute, a private school for African American children located in downtown Augusta. Josey continued his education at Atlanta University, and then Howard University’s College of Medicine, from which he received his Medical Doctorate in 1911. Dr. Josey practiced medicine in Wisconsin before returning to his hometown of Augusta, where he practiced for an additional 43 years. Josey was active in the Augusta community; he served as president of the Stoney Medical Dental and Pharmaceutical Association, vice president of the Georgia State Medical Association, director of the Pilgrim Health and Life Insurance Company, and he was a member of the Board of Management for the YMCA. Dr. Josey worked tirelessly to lend a hand as an inspirational figure, religious teacher, friend, and citizen. The Richmond County School System is proud to honor this fine man who devoted his life to community service. Dr. Charles Thomas Walker was born into slavery in 1858. His father died the day before he was born, and his mother died in 1866, just one year after the 13th Amendment was ratified. Despite the challenges of his childhood, C.T. Walker was determined to rise above his circumstances and use religion and education to etch out a legacy for many generations. At 15, Mr. Walker was baptized and shortly after, enrolled in the Augusta Theological Institute, housed in the basement of Springfield Baptist Church—one of the oldest Baptist Churches in the United States. After many financial hardships, Dr. Walker, at age 18, was licensed to preach. It was just a few years later that Reverend Walker became the minister of modern day Tabernacle Baptist Church which is located on his namesake, Laney-Walker Blvd. During this time, C.T. Walker also began traveling around the world. Reverend Walker’s powerful pulpit messages were heard by black and white believers from all over the country; William Taft and John D. Rockefeller were amongst congregations that would travel to Augusta to hear his words of unity and inclusion. In 1900, Dr. Walker moved to New York City and pastored Mt. Olivet Baptist Church; under his leadership, it became the largest black church in the U.S.
RCSS honors Reverend C.T. Walker for his efforts toward unity and equality. C.T. 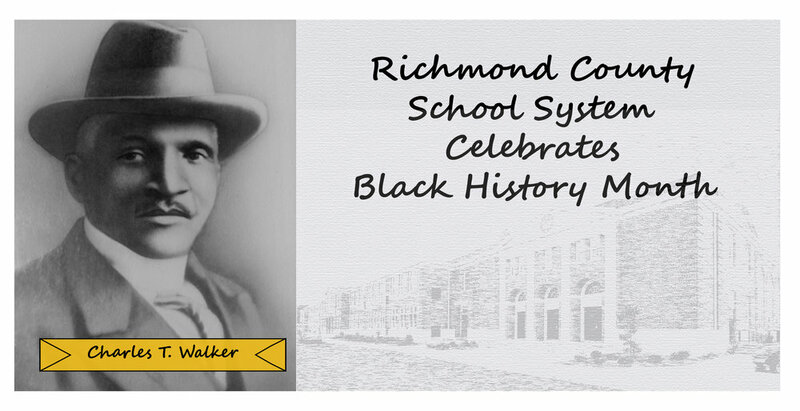 Walker Traditional Magnet School stands as a reminder of his dedication to ideals that are etched into the minds of thousands. Lucy C. Laney’s legacy is far-reaching. As a teacher and principal, she touched the lives of thousands of children and adults in Augusta. Despite being born to former slaves, Ms.Laney was taught to read by her mother at a young age. It was this love of reading that guided her into education; at only 15, she began college at Atlanta University and a teaching career shortly after. In the late 1880s, after teaching for several years, Lucy Laney opened a liberal arts school for African-American students; this school—Haines Normal and Industrial Institute—would be one of the first to offer kindergarten classes and vocational training for black children in the South. Shortly after, Ms.Laney also opened a training center so black women could train as nurses. The Richmond County School System is proud to be connected to such a fine woman and educator! The Richmond County School System sends a warm congratulations to our 2019 Winter Graduates! Friday night, students from several of our schools received their high school diplomas. We are also proud of parents who received their GED’s via the Parent University Program. Through this ceremony, the honored were able to reflect on their astounding achievements and dedication. In addition to the graduation ceremony, students from RPM (Reaching Potential through Manufacturing), celebrated their continuous efforts over brunch and gifts; students were also able to share their experiences with school board members, Richmond County staff, local community members, and families and friends. We are proud to see all of these graduates enter the college/career world ready to begin new endeavors! Congratulations to all students that participated in the competition! Richmond County School System's very own Laura West of the Academy of Richmond County was recently awarded the 2018 GLMA Regional Library Media Specialist of the Year Award for East Georgia. 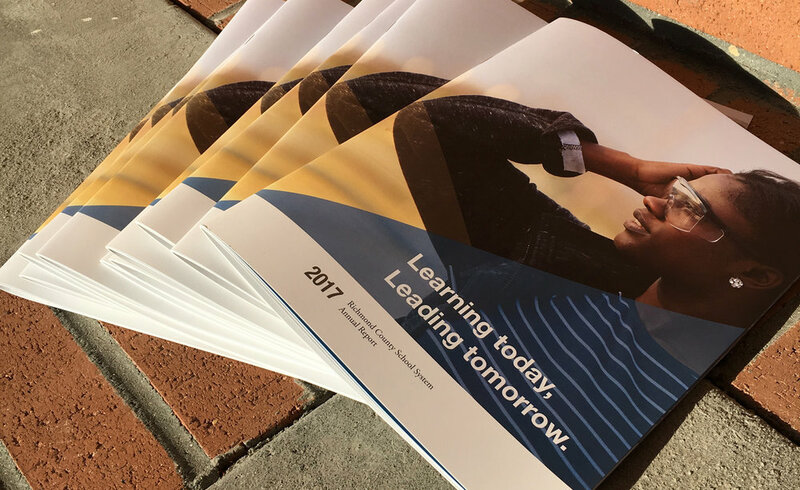 Her application will be considered alongside other regional winners for the Georgia Library Media Specialist of the Year Award, to be announced this June. Congratulations to Ms. West and all of her excellent work!